We All Have a secret passage within us that is part of the architecture of our brain. We do have within us the capacity to consciously connect with Higher Intelligence. This passage way is activated by the pineal gland when it secretes a hormone similar to melatonin. We call this secretion METAtonin, a similar but Higher Octave of melatonin. The chemically active ingredient in METAtonin is known as DMT. We have attempted to compile all the relevant information on this subject complete with internet references so that you can learn about this wondrous gift that Each Of Us has been endowed with. The potential for internally produced DMT-based METAtonin to influence the circuitry of the brain has been an ever-present component of human existence and throughout history the influence of its effect may have played a part in many of our greatest discoveries and epiphanies. In fact, the Greek word for the pineal gland is “epiphysis” from which the word epiphany is derived. The pineal gland is also referred to as the “third eye” in many eastern religions, www.wikipedia.org/wiki/Third_eye. The pineal gland is also referred to in the King James Bible. Though misspelled as "peniel," many scholars believe that the place "Peniel" where Jacob encountered the face of God after wrestling with an angel is actually a reference to the pineal gland. Quote, Genesis 32:30 "And Jacob called the name of the place Peneil: for I have seen God face to face, and my life is preserved". The importance of the pineal gland is also recognized by most of the advanced ancient cultures: Egyptian, Druidic, Hindu, Hasidic, Islamic, Taoist, Mayan, Tibetan and Aboriginal cultures to mention a few. METAtonin is the active pineal gland secretion that dissolves the borders of consciousness and can act as a portal to the universe of the subconscious and hyper physical phenomena; one of these phenomena is commonly known as an out-of-body or OBE experience; another is the NDE or Near Death Experience, both of which will be discussed later on. 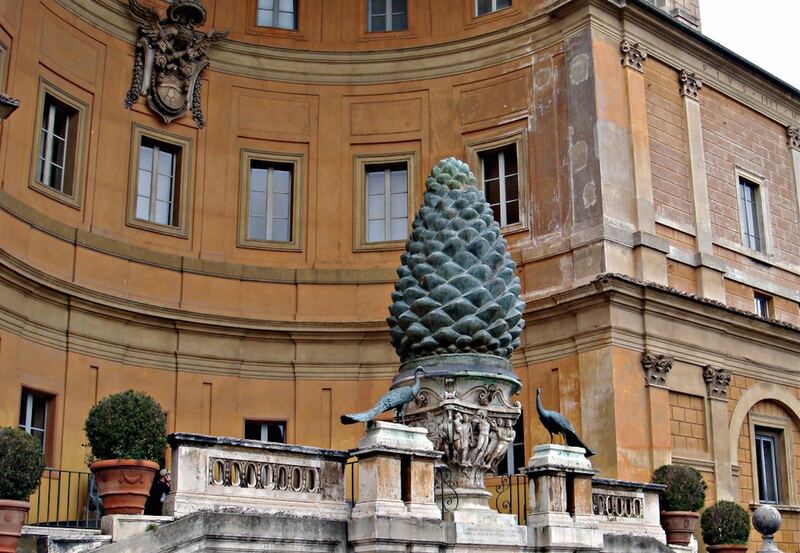 The pineal gland is so named due to its similarity in shape to the pine cone, a symbol that is used in many religious themes including the giant pine cone statue at the Vatican, stolen from Egypt, and the pine cone at the top of the pope's staff. See full article on the metatoninresearch.org website. One of the most wondrous parts of our physical body is the Pineal Gland. It is also called the epiphysis cerebri, epiphysis, conarium or the “Third Eye.” It is a small endocrine gland in the vertebrate brain. It produces serotonin and melatonin, hormones that affect mood and modulate our wake/sleep patterns and seasonal functions. Its shape resembles a tiny pinecone (hence its name in Latin, pinea, which means “pinecone”), and it is located near the center of the brain, between the two hemispheres, tucked in a groove where the two rounded thalamic bodies join. Even though this gland is hidden deep inside the brain and is only the size of a pea, it has been an almost fanatical obsession of masters, mystery schools and religions throughout the ages. Rene Descartes, the famous philosopher dedicated much of his life to studying the pineal gland, stating it is the “principal seat of the soul”. He believed it is the connection between the physical body and the mind/soul. We also see it playing prominent in the writings of Pythagoras, Plato, and Iamblichus, as well as in Egyptian, Tibetan and Roman Catholic Church. It is even mentioned by the Founding Fathers of the USA. One of the central figures in Egyptian mystery school myths is the Eye of Horus. Many feel the eye of Horus is really the third eye, or the pineal gland. There does seem to be a lot of similarities, at least from an anatomical point of view. The Egyptian connection does not stop there, by any means — in fact some feel the great pyramid of Giza was not only built to stimulate Pineal activity, it was built with the initiation chamber in the shape/ location of the pineal gland. In earlier blogs we have talked about the law of similarities, fractal relationships or morphic resonance. When we have things with such a great degree of similarity of shape, they can communicate (vibrate) with each other with ease. This pyramid/ third eye connection was not lost on the Founding Fathers of the U.S.A., who were mostly Free Masons; they used it as part of the country’s seal, which can be seen on the back of the American dollar bill to this day. Many of the mystery schools often coded the information in the form of a pine cone. We can see this prominently in the Vatican as one of the largest statues to nature. It also retains a dominant role on the staff of the Pope. The entwined snakes on Osiris’ staff are reminiscent of the kundalini forces entwining up the spinal cord to end in the pineal gland. See full article on the in5d.com website. Situated at the anatomical center of our brain lies a mysterious gland that may be the intermediary gate that bridges our physical and spiritual experiences here on Earth. Seventeenth-Century French philosopher René Descartes coined this organ, called the pineal gland, as the “seat of the soul,” as he believed it provided people with a medium from which our soul could be expressed through our physicality. The pineal gland has been a topic of great debate over the past couple of decades as the science community is still trying to discover its complete biological function. Dr. Rick Strassman, M.D., author of DMT: The Spirit Molecule, has dedicated years of research to the pineal gland as he suggests that this gland is the factory for a powerful brain chemical called DMT (Di-Methyl Tryptamine) which when produced induces a person into a psychedelic and mystical experience. Many different cultures talk about our “third eye,” and modern theories suggest that this may be a reference to the pineal. Even more peculiar is the fact that pineal gland symbology can be traced to many civilizations such as the Romans, Mexicans, Egyptians, Babylonians and the Greeks. It is interesting to note that even the Catholic Church displays pineal gland imagery, as the Vatican Square contains the largest pineal-like statue in the world. So what could all of this mean? Is there ancient knowledge of this gland that previous cultures had access to? Furthermore, what role does the pineal gland play in our spiritual experiences and how can we explain this in physiological terms? See full article on the collective-evolution.com website. In a study on the Earth’s magnetic field’s effect on the pineal gland it was determined that geomagnetism appears to be one of the environmental conditions which seem to enhance pineal activity. Just recently there has been considerable interest in the effect of the earth’s magnetic field (EMF) on living organisms, particularly as a direction finder (Baker, 1980, 1981; Husing, 1960). This interest seems to be spreading into much more esoteric fields, parapsychology being one of them. There are suggestions that psi ability is related to changes in magnetic field strength (e.g. Persinger, 1989). There is the suggestion that psi ability is linked with the pineal gland (Roney-Dougal, 1989) – and the pineal gland is affected by geomagnetic variations as shall be detailed in this article. There are suggestions that dowsing ability is related to the EMF (Williamson, 1987). 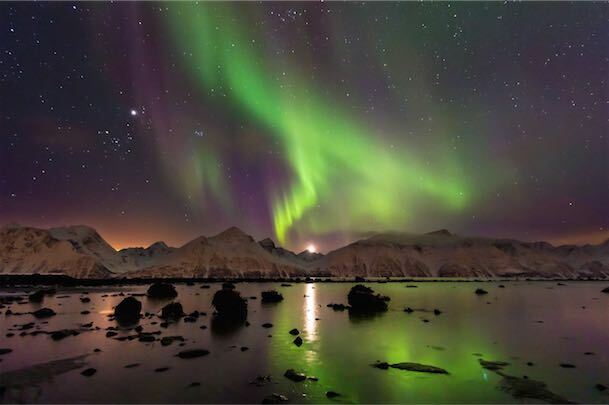 There are suggestions that UFO phenomena are linked with areas of geomagnetic anomaly (Devereux, 1982), and UFO phenomena seem to have a psi component (Roney-Dougal, 1991). Putting all these individual pieces together an intriguing picture emerges, which suggests that the old idea of a “sixth sense” may be just that, a sensitivity to the EMF. However, this sensitivity is a subliminal perception, and so the psychological process by which we become aware of this information is in many ways similar to that by which we become aware of psi inputs (Roney-Dougal, 1987). From a practical, subjective level therefore, awareness of the EMF and awareness of psi information will manifest in very similar ways. Thus map dowsing (awareness of psi impressions) and field dowsing (awareness of electromagnetic impressions) manifest in similar ways, the dowser obtaining information from the swing of a pendulum or from rods, these being a sort of biofeedback tool informing the conscious mind of subliminal body responses. This suggests, as with my research into more traditional subliminal perceptions, that the line between sense perceptions and psi perceptions is a very fuzzy one, the one merging imperceptibly into the other. In other words, consciousness can be altered when the pineal gland is stimulated through changes in either the electromagnetic or geomagnetic fields. See full article, "Pineal Gland Activation," on the in5d.com website. Parapsychology or psi is the scientific exploration of paranormal and psychic phenomena which includes meditation, enhanced and altered states of consciousness, enlightenment, channeling of religious and spiritual gifts and teachings, creative inspiration, telepathy, precognition, clairvoyance, psychic healing and other psychic abilities, psychokinesis (PK or telekinesis TK — the ability to influence the physical without physical interaction), out-of-body, near-death and astral travel experiences, reincarnation, apparitional experiences and other paranormal activity. The results of our experiment would indicate that psilocybin (and LSD and mescaline, by analogy) are important tools for the study of the mystical state of consciousness. Experiences previously possible for only a small minority of people, and difficult to study because of their unpredictability and rarity, are now reproducible under suitable conditions. The mystical experience has been called by many names suggestive of areas that are paranormal and not usually considered easily available for investigation (e.g., an experience of transcendence, ecstasy, conversion, or cosmic consciousness); but this is a realm of human experience that should not be rejected as outside the realm of serious scientific study, especially if it can be shown that a practical benefit can result. Our data would suggest that such an overwhelming experience, in which a person existentially encounters basic values such as the meaning of his life (past, present, and future), deep and meaningful interpersonal relationships, and insight into the possibility of personal behavior change, can possibly be therapeutic if approached and worked with in a sensitive and adequate way. See full article from The International Journal of Parapsychology on the psychedeliclibrary.org website. "One of the interesting implications of this kind of work is that we’re biologically hard-wired for having these kinds of experiences,” says Griffiths. “It’s not just unique to mystics spending years of meditation in a cave. This is part of the human biology to have these kinds of integrative experiences that can really set the stage and the platform for remarkable personal change." “It is thought that stored DMT is released from the pineal gland just prior to death, causing the out-of-body experience and mystical visions reported by NDE survivors. While there has been no empirical evidence linking the pineal gland to the production of DMT, its association with melatonin (from which it is made) seems to strongly suggest this possibility." “The pineal gland sits on the roof of the 3rd ventricle of the brain, directly behind the root of the nose and floats in a small lake of cerebrospinal fluid. It doesn't have a blood-brain barrier like other brain structures, where certain molecules in the circulating blood are blocked. Instead it relies on a constant supply of blood delivered through a particularly rich vascular network. 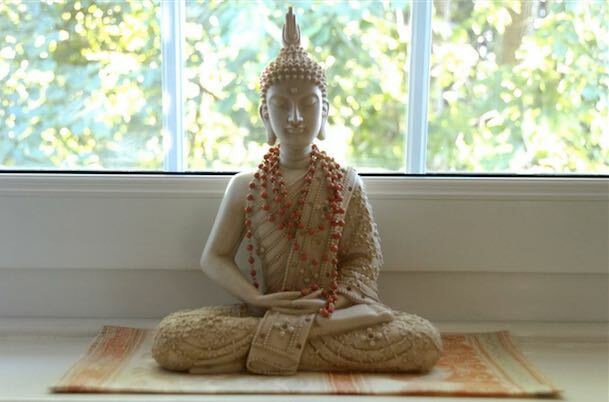 Activities such as rhythmic breathing and chanting create an oxygen rich supply to the pineal gland. Many yogis describe the object of their breathing technique is to increase the heart rate while reducing the blood pressure. Ironically, this is what happens just before we die. It may be that the goal of this procedure is to release DMT, which many believe is stored in the pineal." “Many experiments were conducted on so-called Psi (paranormal) phenomena in the 1970s. Dixon  found that the pineal gland was a prime focus of this activity. He noted that psi activity was most successful in a relaxed, drowsy state — similar to those induced by melatonin. Other studies found correlations with melatonin and the practice of yogic meditation, thought to be a prerequisite for "enlightenment." “Yogic practices for 3 months resulted in an improvement in cardiorespiratory performance and psychologic profile. The plasma melatonin also showed an increase after three months of yogic practices. The systolic blood pressure, diastolic blood pressure, mean arterial pressure, and orthostatic tolerance did not show any significant correlation with plasma melatonin. However, the maximum night time melatonin levels in yoga group showed a significant correlation (r = 0.71, p < 0.05) with well-being score. These observations suggest that yogic practices can be used as psychophysiologic stimuli to increase endogenous secretion of melatonin, which, in turn, might be responsible for improved sense of well-being." "Another effect of changes in cell secretion is a reduction of melatonin being produced by the brain’s pineal gland. This triggers a series of disorders including mood disorders, behavioral disturbances, sleep disorders, disturbed circadian rhythm, and a feeling of permanent jet lag." The effects of EMFs on the body.